My name is Kurt Smith, I grew up on a 1,600 acre farm. In 1996, at the age of 19 I left the farm to pursue a career in Graphic Design. I started a family, and wanted to have a fun toy for myself. So, in 2007, I set out building my 1/2 scale IH 826 from an old Cub Cadet, which was finished in 2008. 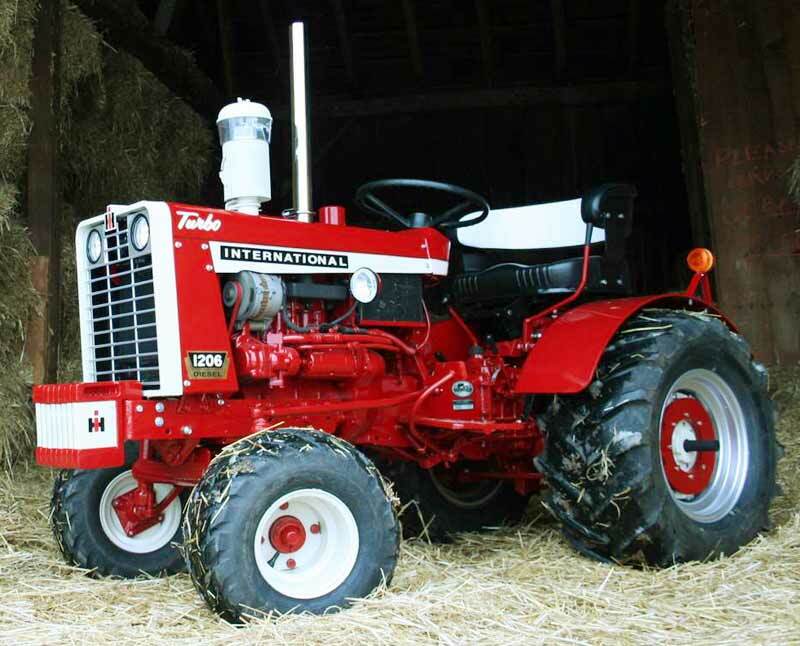 I showed it at a few tractor shows, and had a lot of questions about it, one of which was "where's the John Deere?" So, in 2009, I set out to build the John Deere 2030 for a friend. I finished it, and kept it for a season of tractor shows. At one tractor show, a nice gentleman asked me what I'd charge to build a little John Deere 430. I gave him a rough idea, and didn't think I'd ever hear from him again. About a month later, he showed up at my place with an old Cub Cadet to start working on. Then I started thinking, "maybe others would like miniature tractors built." 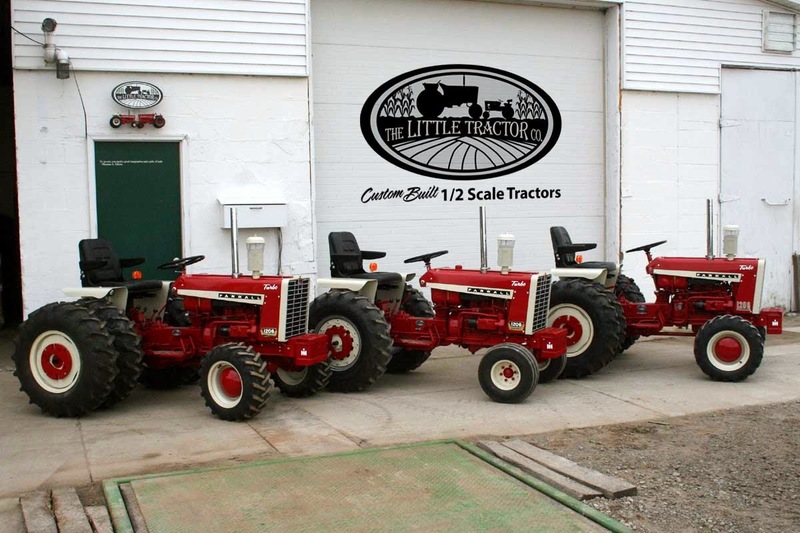 So I ran an ad, and created a new blog devoted to these "little tractors." I'm 41 years old, and started making things on the farm when I was 9 years old. My Dad taught me how to weld when I was 10... Let's say those first few projects, when I was a kid, were... interesting, and didn't seem to work all the time. Now, I design the tractors on the computer so I have minimal "surprises" when I build them. They are completely hand made by me, and I enjoy every minute of it. I don't have an "inventory" at all. I will build what ever color tractor you'd like. Each one needs to be quoted individually, because of the amount of work that may need to go into the build. 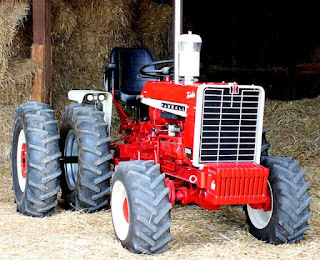 Each tractor would take anywhere from 1 to 3 months to complete, depending on how busy I am with other projects. I require $300 to lock a customer's name in the schedule, 60% down once construction begins, an additional 25% when the tractor's ready to paint, and the balance upon delivery. I will work with the customer on delivery, I have a few trucking company's that I work with, or if preferred, the customer can arrange all the details, or come and pick the machine up at my shop. Please feel free to call me with any questions 734.368.3273, and also feel free to leave comments here on the blog. I just wanted to mention the reason I am making "little" tractors for a living. I am a Christian, and in the fall of 2010, I had a very "heated" discussion with God about my state in life. I hadn't had a regular pay check in almost 2 years with no decent prospects, a wonderful wife, a 5 year old and a new baby in my home to take care of and provide for. When I say I had a heated discussion... there were quite a few expletives in it. :) Literally 2 days after that conversation, it dawned on me, (I was enlightened with the idea...) to give the "Red Power" magazine a call, and find out their rates. I know the power of a well placed ad, and discovered the ad space there was very reasonable. I decided I'd give it a shot, talked to my wife, and placed the ad. I have been counting my blessings ever since. I'm not becoming rich building these "little" tractors, but we are making it, and I'm enjoying every minute of it. I count this chapter in my life as a testimony to how well God knows me, and how He can and will take care of His kids when they ask Him to. Jesus has the power to move mountains, even today. I get to talk to people from all over the country, from all walks of life, in all stages in life, and we all have one thing in common, agriculture. Some are farmers or retired farmers, some grew up on a farm, and moved on to another career, others worked on their Grandparents or Uncles farm in the summer... 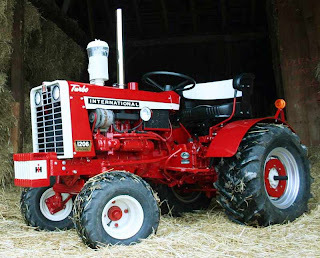 Tractors mean something, the memory of these tractors takes us back in time, when some one we loved was still with us. When Grandpa taught us how to drive, to days in the potato field, or cutting hay. They help us connect to our past. That is why I built my tractor, and that is why I've built so many "little" tractors as well. I am thankful to the God of the universe for caring enough for me, to use the talents He's give me, to bless others. Great looking tractors! You sure do a great job with these mini reproductions. Marrying function with art, your work is great. I can't imagine the process but I love the results. All the best. Your tractors are class. Wow! 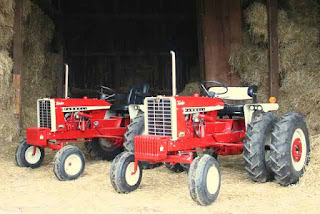 these tractors recalled my old memories of having John Deere Toy Tractors. Yes mine tooo Michelle....i also used to have Tractor Toys Collection. God truly gave you a great gift. Is there a certain type of lawn mower needed for each replica? I would one like to have a couple created further down the road. One being the newer 770 gas tricycle and hopefully a JD GP. I will ask again here as you may have missed my first comment, where do you get those small suitcase weights? Awesome work !!! Do you guys have a facebook page i can follow ... ? great work,would you sell parts,such as agrille hood ,&gas tank for a farmall M ? Hi Ben, the M is so custom that the only way I can make parts if for the tractor I'm building... I've done "kits" for 1206 models, but can't help with the M. Sorry. I build them from scratch. Like your work Kurt! You have much to be thankful for. First of all your dad taking the time to teach you to weld and all the other lessons in life he taught you. My favorite part of your story is God taking care of his kids! Brought tears to my eyes. May he continue to bless you and yours. Hello, I'm looking in to get a half scale tractor and found your company on YouTube. After looking at some of the pictures you guys have on facebook, I like the work I've seen. 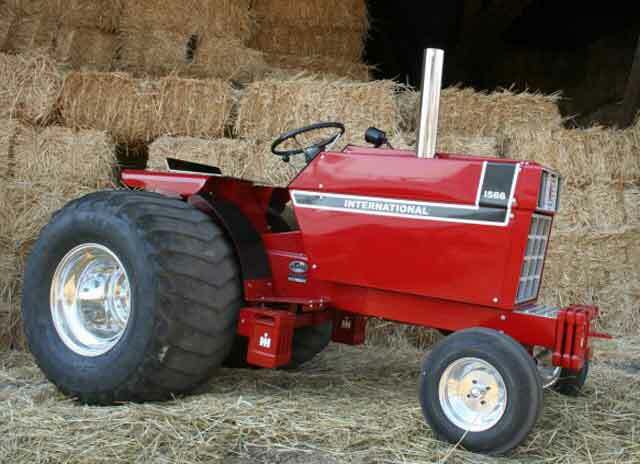 What do your prices range from for a custom half scale tractor? Also, what do you guys do for out of state orders since I am from minnesota. How much do one of your builds cost?